In late July, we released Primatte Chromakey 3.5, a terrific update for using our greenscreen masking tool in Adobe Photoshop CS5 and 64-bit native operation. 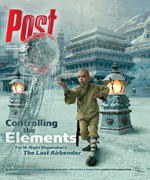 Also in July, a terrific article appeared in Post magazine about how to set up for greenscreen. The article is ‘The Keys to Shooting Greenscreen’ and it’s written by one of my favorite industry writers, Randi Altman, who is also Post’s editor. Randi’s topic is really about greenscreening for video and film (with specs like HDCAM and 35mm/24fps) since Post is a broadcast media publication. However, her sage advice is completely applicable to working with photographs and other still images. An interesting topic in the article is when to break the rules. For instance, posing your models against white (almost never) or red (if the subjects are wearing green and blue) versus the standard chroma-blue or chroma-green back screen. Another compelling subject is the variation in location, preparation and conditions under which film/TV studios shoot their subjects. Sometimes the situation is planned and optimal and other times — as many photographers have surely experienced — the chromakey shoot is unexpected and requires imaginative resources. This statement is totally in line with our development of Primatte as an Adobe Photoshop CS5 plugin. When we took over the product in 2004, its core algorithm for recognizing color separation was good but the interface was clunky. Over the years, the algorithm has gotten exponentially better AND our interface wrapper has become more sophisticated and easier to use.